***UPDATE: Heiruspecs just announced at midnight last night that Brother Ali will be joining them for this special show. 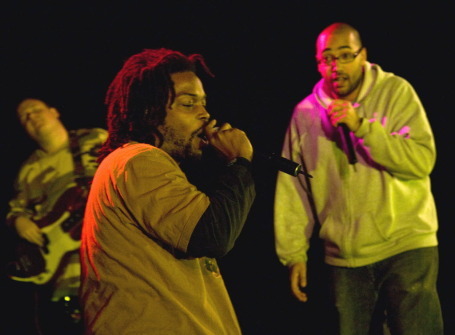 While they've recorded together, this will be the first time Ali and Heiruspecs have hooked up on stage since 2003 at the Loring Pasta Bar. Old-school, indeed. Probably the best alcohol-free show I saw all last year -- not saying much, I admit, but it was indeed great -- local hip-hop giants Heiruspecs performed in the auditorium of their alma mater, St. Paul Central High School, to raise money for a scholarship fund. Things went so well, the band is doing it again Thursday night. 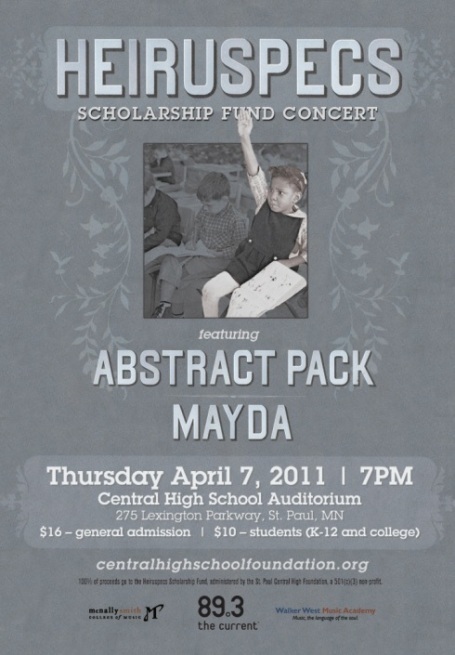 Click here for details on Thursday's show, which starts at 7 p.m. and will feature many guests, including fellow Central alum Mayda and Abstract Pack. The school is right off I-94 at Lexington Ave. Tickets are $10 for students and $16 for everyone else, and all the money goes to the Central High School Foundation (donations also accepted online). These concerts also double as a rally cry for school arts funding, from which all five members of Heiruspecs benefited. You can read about how the idea for these concerts originally came about here. And here's a review of last year's show. Too bad Eyedea can't make this one. Jeff Beck bows out of tonight's "American Idol"